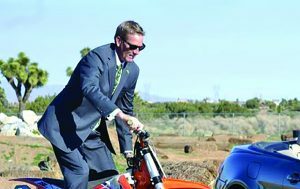 Johnny Scharnweber, past president of Inland Empire Association of Health Underwriters, is struggling to recover from a devastating accident in a recent motorcycle race that left him paralyzed. His sister, Karalynn Sprouse, has launched a fundraising campaign to allow his friends from the worlds of both insurance and motorcycle sports to contribute toward his ongoing care. Sprouse commented on his resiliency, noting he survived a kidney transplant more than 20 years ago. She also cited his business success at Ringo Financial and Insurance Solutions, paying tribute to him as a leader in his industry, and noted he lobbied on Capitol Hill for the interest of insurance professionals and motorcycle riders. The accident was Jan. 22, when he was riding in the National Hare and Hound Race in Lucerne Valley, California, amid the muddy conditions of the recent storms.“Due to the extreme conditions, things did not go as planned in the race and Johnny had a dramatic crash leaving him with several broken vertebrae in his neck and a severely swollen and bruised spine,” Sprouse wrote on her fundraising site. Checks and well-wishing cards can be addressed to the Inland Empire Health Underwriters Association, P.O. Box 11088, San Bernardino, CA 92423-11088. President Trump stormed Capitol Hill to sell the House Republican leadership’s plan to overhaul the health-care system, warning his party that not passing the legislation would yield a political crisis and sweeping electoral defeats, the Washington Post reported. The president addressed a closed-door meeting of House Republicans in anticipation of the measure coming to a vote on the House floor.Trump used both charm and admonishment as he made his case, reassuring skittish members that they would gain seats in Congress if the bill passed — and singling out Rep. Mark Meadows (R-N.C.), the chairman of the hard-line House Freedom Caucus, in front of colleagues. “I’m gonna come after you, but I know I won’t have to, because I know you’ll vote ‘yes,’ ” Trump said, according to several Republican lawmakers who attended the meeting. “Honestly, a loss is not acceptable, folks.”For Trump, who talked up the House bill the previous evening at a raucous rally in Kentucky, the presentation was the latest example of his mounting urgency to secure a major legislative victory in the early months of his presidency and repeal the signature law of President Barack Obama.The article is here. Dickerson Employee Benefits has added Blue Shield of California to its portfolio of carriers and products for California small employers. Agents can begin quoting Blue Shield through Dickerson immediately for a May 1 effective date. Dickerson, a Los Angeles general agency, provides education, consultation and concierge-level service to thousands of brokers and their individual and employer clients. The company also services the health care industry and the communities in which it operates, with senior-management board involvement in local chapters of the California Association of Health Underwriters and numerous civic organizations. Expect 2017 to be a year of deal making in the insurance industry, according to a report by KPMG International, with 84 percent of insurance companies surveyed planning to make between one and three acquisitions in 2017, while 94 percent plan at least one divestiture. Two-thirds of insurers said they expect to undertake a cross-border acquisition this year. According to the report, “The New deal: Driving Insurance Transformation With Strategy-Aligned M&A,” 33 percent of insurers say transforming their business model will be the primary driver of acquisitions in 2017, with an equal percentage citing enhancing their existing operating model and transforming their operating model as the motivators for deal activity. MediExcel, a health insurance agency in Chula Vista, has launched its MEP Plan, “the next generation of binational healthcare,” which offers HMO benefits and simplified underwriting. The plan is available in San Diego and Imperial Counties and suited for employees accustomed to obtaining medical services in Mexico. 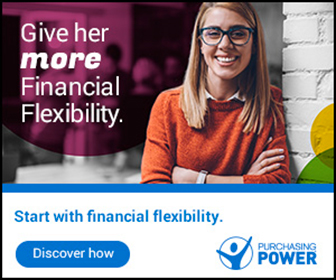 The plan features platinum-level benefits and can be offered without employer contributions. It includes emergency and urgent care coverage in the United States and also serves small groups, with a minimum of one employee. However, the employee worksite must be in San Diego or Imperial County. The plan can also be offered alongside coverage by a U.S. carrier. For more information, see the company’s website, www.mediexcel.com. Hub California, a San Francisco subsidiary of Hub International insurance brokerage, a Chicago risk advisory and employee benefits firm, announced that John Martin Ryan has joined Hub California as the Employee Benefits Market Leader for Northern California, responsible for managing and overseeing all Northern California employee benefit producers. He will also identify and recruit employee benefits producers, lead client servicing teams with assistance from client service directors, assist in identifying regional specialists in wellness, communications, support and underwriting and data analysis as well as act as an executive sponsor for key clients. Ryan will be based in the Hub San Francisco office at 580 California St., Suite 1300, but will visit all of the Bay Area offices that offer employee benefits consulting solutions including Concord, San Ramon and Sunnyvale. When he’s not working, he enjoys life with his family, sports and wine. “I’m blessed with a great wife and three active young adult children. I also cycle in the Oakland hills, play golf with my buddies, try to stay fit in the gym and explore Northern California wines,” he said. 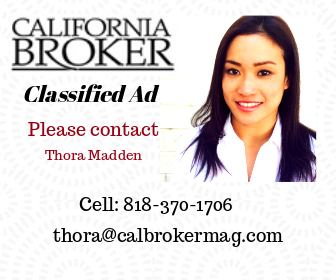 Do you have a News or People item for California Broker Magazine’s Insurance Insider Newsletter? 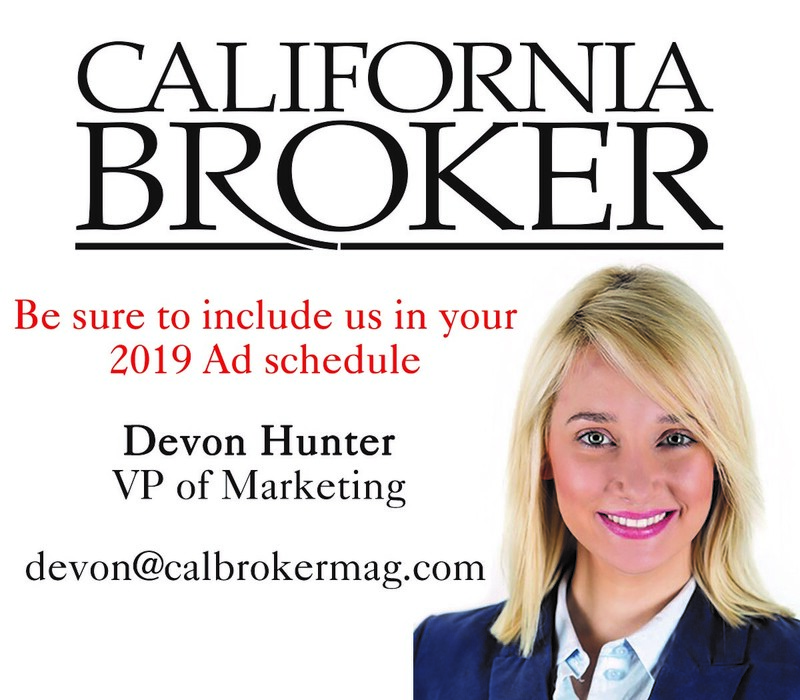 Email to editor@calbrokermag.com with “Attn: Newsletter” in the subject line. Insurance Insider Newsletter is compiled from news articles and press releases by Steve Silkin, managing editor, California Broker.